New Delhi : Rejecting Pakistan's proposal to hold a Foreign Secretary-level talks on Kashmir, India on Wednesday asserted that the country would discuss issues related to cross-border terrorism only. India's Foreign Secretary S Jaishankar expressed his willingness to travel to Islamabad but maintained that no talks will be addressed over the situation in Kashmir. # India on Wednesday rejected Pakistan's proposal to hold Foreign Secretary-level talks over Kashmir. # The response has been handed over to Pakistan by Indian High Commissioner to Islamabad Gautam Bambawale. 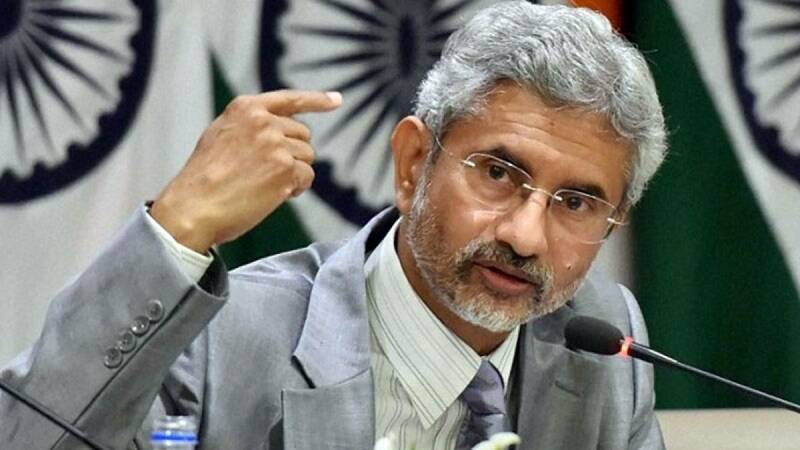 # India's Foreign Secretary S Jaishankar agreed to travel to Islamabad but maintained that talks must focus on the resolution to end cross-border terrorism. # "Since aspects related to cross-border terrorism are central to the current situation in J&K, we have proposed that discussions between the Foreign Secretaries be focused on them. # "We have also conveyed that Government of India rejects in their entirety the self-serving allegations regarding the situation in J&K, which is an integral part of India where Pakistan has no locus standi," sources quoted by a news agency. # Pakistan had invited India to hold talks over Kashmir, claiming that this is becoming an international obligation which must be resolved at the earliest. # The invitation came after Kashmir registered unrest amid tension in bilateral ties due to the war of words between the two nations over the issue.